It was just another day, on October 12, 1999, in New York City where I was an undergraduate student. Little did I realise then that it was the day that would go down as one of the most controversial days in Pakistan’s history. It was the day when the Pakistan International Airlines’ (PIA) flight PK 805, was denied landing rights in Pakistan on its return from Sri Lanka. A detour out of Pakistani territory would have meant an imminent crash of the commercial airliner, due to low fuel, with its 198 passengers on board. Amongst the passengers was none other than General Pervez Musharraf – a man who was to become the country’s first-ever Chief Executive and was destined to bring about some positive social changes in the life of the average Pakistani. General Pervez Musharraf was truly a blessing in disguise for all Pakistanis. Whether we dare to admit it or not, Pakistan saw some of its best years in terms of economic progress and social stability under his rule. I, for one – an average Pakistani – have intermediate needs to worry about which my counterparts in the West often take for granted. Social security, which forms the hallmark of the democratic and developed governance systems of the West, is absent without a doubt. In the absence of government support, issues such as employment, wages and prices take precedence over treason trials. Although it is critical and vital to get our ‘houses’ of governance in order, usually the systems follow strong social foundations. However, in Pakistan we seem to have it the other way around – a top-down approach – where we aim to develop macro systems of governance without considering the ground realities. These ground realities are that life and living conditions for an average Pakistani are at an all-time low. Although we saw a moderate rise in living standards during the years of General Musharraf, even those indicators have fallen during the last five years. Ask any Pakistani and I can bet that they would say that we were more financially sound from the perspective of an average Pakistan then than we are currently. Over the last five years, the lower-middle class has slipped into further financial decline. For a quick comparison, please take a look at the infographic below to put things into perspective. The graph clearly shows that the economic decline only came about after Musharraf vacated the presidential seat. A growth rate of 5.14% is only a consequence of sound economic policies that trickled down to the common Pakistani. Yes, there was probably corruption and most likely, plenty of it. But the living standard of an average Pakistani was also rising. Now compare this with some figures from as recent as 2013 when inflation was at 11.3% in April. Moving onto factors other than economic prosperity, I, an average Pakistani, care more about the fact that our literacy rate rose by approximately 11% under Musharraf than about the technical fact that the constitution was held in abeyance by him. And I can say, without a doubt, that any Pakistani, irrespective of political affiliation, cannot deny the importance of hundreds of kilometres of highways constructed, a decrease in poverty levels by approximately 10% and the establishment of a wide network of universities. If we look at it from a more macroeconomic perspective, Pakistan’s foreign exchange reserves rose to approximately $17 billion, and sectors such as manufacturing and IT saw unprecedented growth. A flourishing manufacturing sector and IT industry translates into jobs and employment opportunities, which in turn, means social security – one of the most fundamental requirements to lower petty crimes and thefts in a society. Unemployment actually fell during the Musharraf years and rapidly rose during the years termed as ‘democratic’. As facts tell us, it was nothing but a massive mirage of sorts. Still, in case you doubt statistics reported by local bodies, here is what the World Bank reports about the overall economic performance of Pakistan during Musharraf’s reign. Hence, it comes as no surprise that the International Monetary Fund (IMF) declared Pakistan as the fastest growing economy after China and India during his years. I don’t know about you but I would pick progress of this magnitude over meaningless constitutional violations any day. Yes, building institutions is important. But strong institutions only result from a process of evolution – they cannot be crafted artificially with superficial doses of ‘democratic governance’. We may not realise it or we may not want to admit it, but the Musharraf years were more ‘democratic’ – at least for the common man. I believe that democracy is a mind-set where dissent from the status quo is not brutally persecuted and suppressed. Democracy is not ‘the best revenge’ – it is the best, period. Did we not see the rise of electronic media with an unprecedented freedom-of-expression during the years that some term as ‘undemocratic’. The years under Musharraf were far from being undemocratic and the biggest testament to this is the proliferation of electronic media which even had the liberty to take Musharraf himself to task when the need arose. Musharraf also set the precedent for his successors. His years in power set the practise of both, media and people freely questioning those in power without incurring either the wrath of the rulers or censorship. This was a massive achievement in Pakistan’s context and a key pre-requisite for true democratic dispensations. And we must acknowledge General Musharraf for this achievement. Yes, General Musharraf did make some mistakes – blunders that were too massive to be forgiven or forgotten. And yes, some of those had huge repercussions for the country. But then, who does not err? Is there any human that has never erred? Other than the divinely appointed prophets and messengers of God, there is no human on earth who is perfect; the good and bad go hand-in-hand. One characteristic trait that I notice in most Pakistanis is that they not only forget their benefactors but they also fail to realise that a system can never be 100% perfect. However, it is crucial to measure the performance of governments in terms of what they delivered to the people. Most people would agree without a doubt that the most prosperous years of Pakistan were those of Ayub Khan and General Musharraf. Given all these facts, the question in my opinion is not whether we should indulge in a trial or not. The more pertinent question is whether we can afford it. It is a classic cost-benefit and Return-On-Investment (ROI) analysis that most business organisations indulge in. After all, a country and its management are not very different from an organisation. In fact, a country is an organisation by all definitions and practical implementations. Please let us invoke some sensibility and realise that even though General Musharraf did make mistakes, he also made sincere and honest efforts to transform the living standards for an average Pakistani with the little amount of ‘real power’ that he wielded. The treatment that he is being meted out now makes my head fall in shame and rise in awe simultaneously. Is this the way to treat a person who actually did something to make my life better? Is it right to haul him to court under charges that are quite superficial compared to the improvements he brought in the social infrastructure of Pakistan? What kind of a lesson are we sending to the future leaders of Pakistan – that if you dare to work towards improving the living conditions of Pakistanis, you would not only be prosecuted, but also persecuted and hounded? While you are in the process of answering these questions, do try and recall that the plane was on the verge of a crash with approximately 198 Pakistani civilians on board. It may be hard for some to fathom this but rulers never have absolute power. There are millions of interests that have to be accounted for prior to taking decisions that affect nations and their citizens. Considering the sycophants that surrounded Musharraf, it is not only remarkable that he managed to bring about this little improvement to an average Pakistani’s living standards, it is also evidence that the General’s heart was in the right place. i am on the verge of loosing my belief on these popular words: The worst democracy is better than best dictatorship. i am on verge of loosing my belief on these popular words: The worst democracy is better than best dictatorship. This article made me cry ,.. So beautifully summed up,. We should be ashamed of ourselves. Us this how you treat your leader who made Pakistan a prosperos country unlikevthose so called rulers who did nothing than destroy us. I pray for GM. May he once again come into power and punish all these dogs and make Pakistan a prosperous country once again. 2. Alternate destinations are usually chosen reasonably at a distance and it is not very uncommon for them to be 600 miles away!! so that if the weather at the destination is not appropriate for landing it can safely enter another weather zone!!!! Spot on. And also wonder why every time during military rule the economy ‘performs’ better? – the answer is simple: we sell ourselves…. remember the american attorney’s remarks about Pakistanis? This may create a simulacrum of progress and economic stability but can only be attributed to the cash flow that we receive in aid like beggars in lieu of selling our national interests. Nonsense dressed up in stats. Prior to 9/11 Pakistan had abysmal growth and unemployment rates even compared to the 90s. I’m just three years Musharraf increased the unemployment rate by 50℅ and brought the growth rate down to 1℅. It was a story of progressive decline until Americans decided their man in Afpak was worth a little money (same story as Zia). Again yellow journalism. Musharraf was called inside the cockpit because the plan wasn’t “ALLOWED” to land and then the alternate destination landing was also cancelled by Nawaz Sharif himself,so get your facts straight. Thanks for your comment, Waseem. However, please answer this, even if we assume your points to be correct, does that still mean the airport can be shut down in the light of knowledge that there is not sufficient fuel? I think the answer would be no. Who is responsible for 50,000 people killing and still continue? One word – CONSTITUTION! Had Musharraf or any prior military rulers respected it, let the things turn out themselves, let civilians make mistakes and learn from them on their own without intervening by today things would have been pretty smooth for civilian rulers as well. Look at India. Their leaders failed but system developed, constitution was followed and no general intervened their. As a result they are a thriving democracy without help of any Military intervention. While these statistics look good on paper but the author has not mentioned the other side of the picture. 1. Circumstances during Musharraf’s era: Pakistan became the non-NATO ally and as a result a lot of financial aid poured into Pakistan. Just compare the situation of Pakistan in two periods, Oct 1999 – Aug 2001 and Sept 2001 – 2007. I still remember he had to beg President Clinton for a “stop over”. 2. The great increase in the number of percentages is because all of those developments came from a low base. 3. Most of the developments were in Services sectors e.g. Telecom that is not sustainable. 4. Increase in the terrorism in Pakistan due to some of his “mistakes”. As a result the loss from Terrorism has offset the growth of Musharraf’s era. 5. He followed the policies that were designed in Nawaz Sharif’s era e.g. Telecom policy of Pakistan was suggested by Goldman Sachs in 1998. Musharraf used the same policy as the guideline. 6. NRO: His “reconciliation” gave a second life to the corrupts of the country. I literally cried on that day when he gave “Amnesty” to these corrupt politicians. 7. List goes on and on.. While Musharraf did a lot of good things but those were like developments on steroids that showed some short term results but failed to build the base for the longer term. I personally believe he was sincere until 2002 because he took some great initiatives and assembled a good professional team around him. But after that he became politically corrupt just like everyone else in our country. Musharaf was better then Nawaz and Benazir combined. His greatest mistake was blindly following America to war. But in his defense, Nawaz and BB had made sure that Pakistan was at its weakest point, and at that point economic sanctions would have crippled us. And ofc the creation of PmlQ. They were sell outs. Marvi Memon anyone? As an Indian , I am a tad confused , of the latest Elected Heads of Pakistan , why is the performance of Nawaz Sharif the Prime Minister compared with Asif Zardari who was the former President ? What a rhetoric,for the love of god stop politicising this matter. According to this logic PPP should bring out the best results of GDP because they allowed extreme intervention of of the US in to the country,which Musharraf didn’t allow. only 8 to 10 drones were used during his tenure,and that too when the deal was that they would be for surveillance only,no deal was signed on the drone attacks either. The US broke our “Gentleman’s Agreement” and then Musharraf personally went to the US and decided to end the “Gentleman’s Agreement’ but the PPP government gave anything that the US asked them to give and allowed 20 plus drones in their first year of power. Not even Musharraf’s greatest enemies can call him corrupt,the thing is he didn’t eat any money of the nation and he actually spent it where it was required,he brought in decentralisation which was an excellent concept for governance. Terrorism existed since Zia’s time,just for your information it is just that these are those same terrorists that were then armed with the advanced weaponry of the time,if anything Musharraf made a ton of effort to get rid of terrorists and extremists. Had 9/11 not happened things would have been different but 9/11 affected not just the US but the world. Pervez Musharraf saved Pakistan strategically,he also paid off the IMF loan. Think about it,which politician has been able to do that,the democratic government has brought the IMF back in to our affairs. The projects weren’t a failure but the leadership that came after him were absolutely corrupt and had no concern for the well being of the people,that is why the projects failed when he wasn’t in power. The constitution is in two parts. First it is to save the state and then follow the other rules,if it is a matter of saving the state then the first option would be taken in to consideration first. That is what happened during the Musharraf takeover,every politician at the time endorsed it and supported it and gave sound reasoning for it. Nawaz Sharif was failing miserably,we were being called a failed state and he was creating a situation that was leading towards the civil war. Let us not forget why the take over happened,it was because of Nawaz Sharif’s actions on the flight with 198 to 200 passengers including Pervez Musharraf,not allowing it to land anywhere and the plane was low on fuel. You are forgetting the reasons and just focusing on the words without even understanding them on the deeper level. India is successful with their democracy because they are willing to work for the country. Sure the politicians are corrupt there as well but when it comes to the “NATIONAL INTERESTS” of the country they all are on the same page,that isn’t the case with our politicians. Our politicians are so selfish and self centred,that they wouldn’t care if the country is completely destroyed from every angle so then the army has to interfere to save the state. Pervez Musharraf gave immense prosperity on every level to the people of Pakistan because he was clean and absolutely not corrupt,even his greatest enemies can’t call him corrupt. Actually he was not their man at all. Employment did increase during Musharraf’s time and I know plenty of people that got their jobs and education during his time,you can keep spreading yellow journalism but the truth of the progress during Musharraf’s tenure will remain the truth. Oh really??? I am still waiting for justice to be served to Shahzaib Khan and victims of Raymond Davis and various other politically associated criminals. We wish we could forget all the havoc the military dictators and their partners in crime (civil bureaucracy, courts, mullahs, discarded and discredited politicians) have wreaked on poor Pakistan! Very Nicely written, but bro it is the history of Pakistan, every person who wants to do some thing good in the betterment of this country we disgrace him. Nothing can be change until and unless these democratic traitors are in Pakistan. This is an excellent article. All genuinely educated patriots are absolutely and whole heartedly with Musharraf. The deep concern of all patriots, who are sincere to Pakistan and the people of Pakistan, has been rightly depicted. We should say that Urdu proverb, “Ulta chor kotwal ko dante”, is coming true? These fraud degree gangsters called politicians grabbed power by fraudulent sale / purchase of votes and constituencies, under the cover of democracy are trying to humiliate a real patriot. They have themselves made a mockery of their so beloved constitution, by not adhering to its clause 62 & 63. Not a single constituency out of thousands can claim to have absolutely fair voting and honest counting of votes. nation. We should be ashamed of ourselves for getting award of “Most Corrupt Nation” and disgracing Pakistan, people of Pakistan and the Muslims as a nation all over the world. Now these frauds are calling Musharraf a “Ghaddar”, who saved the country from these scavengers. I totally disagree with author . What about price Pakistan is paying now? More than 50000 people dies , international investment almost vanished and most importantly security and foundation was put on risk . Musharraf received millions of dollar . If he had spent only 10% money on Pakistan infrastructure that’s not big deal . Agreed. 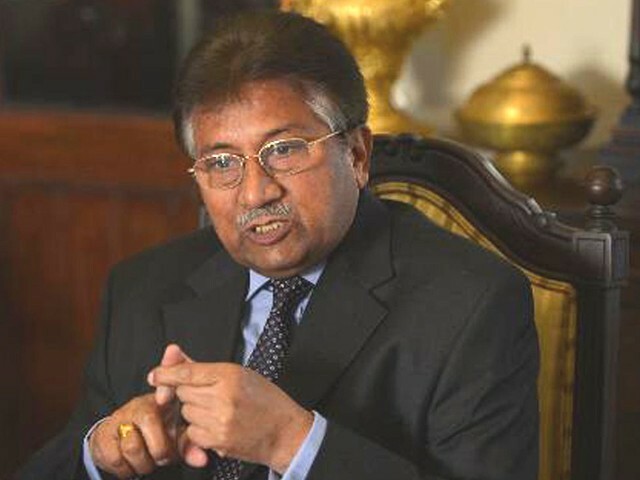 What good will putting Musharraf on trial achieve?? Will it boost economy, or stop terrorist attacks, stop corruption, reduce poverty?? No Sir, I have not forgotten a thing. He took a solmn oath of office in front of all great and small. He reneged on it and the rest is immeterial. He is not a man to be trusted. He will do anything moral or immoral to save his neck. Therefore he is a dangerous toour country.